Moving is a BIG task and when we say BIG, we mean B-I-G. It helps to be prepared and to explore all of the options that are available to you before you settle on just one option. 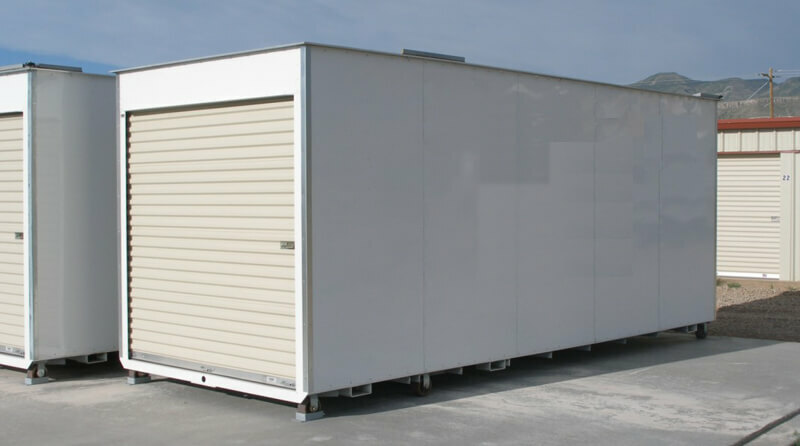 If you are in need of a storage option that can move along with you, you may want to consider a portable storage unit. Portable storage is basically a storage solution on demand. The company you work with will deliver a large container to your home and then move it and pick it up when needed. Since these units can be moved around, it is basically a storage unit and moving truck all wrapped up into one container. Basically, your portable storage will be delivered to your home and placed in your driveway or other convenient area. You are able to open and close the exterior door to access the interior of the storage unit. The interior looks just like a traditional storage unit and you can place all of your home’s items inside of it and then lock it with a padlock or your choice of lock. Whenever you need to access something within the portable storage unit, you simply open the door and grab what you need. When you are ready to move, the portable unit company will come pick up your unit and then deliver it to your new location. Once it is unloaded, they will come back and pick it up. The size you need depends on the size of your home. There are a wide variety of sizes to choose from, but the most common two sizes accommodate a 1,200 square foot home and a 1,500 square foot home. Portable storage units are a great solution to your moving and storage needs. Instead of making multiple trips back and forth to a storage unit, you can have your items right in your yard waiting to go on your move day. These portable units are perfect for short-term storage and if you need long-term storage, you should consider getting a traditional storage unit to house your items. Receive a monthly email with home and storage tips and tricks, moving advice and even some fun stuff!